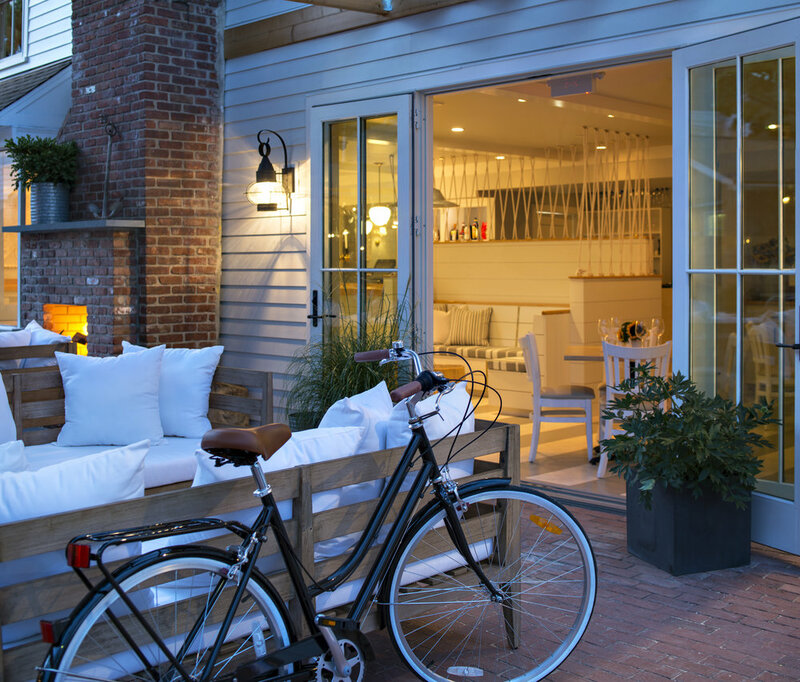 Located two hours and a half by car from New York City, on the northern tip of Long Island, American Beech is the new cottage hotel designed by Dan Mazzarini, founder of the BHDM studio in New York. An intimate hotel with the collected space, total white. Only five bedrooms featuring dedicated nautical furnishings - chosen as the project's mood - alternating with recovery elements such as beams and neutral wooden flooring. 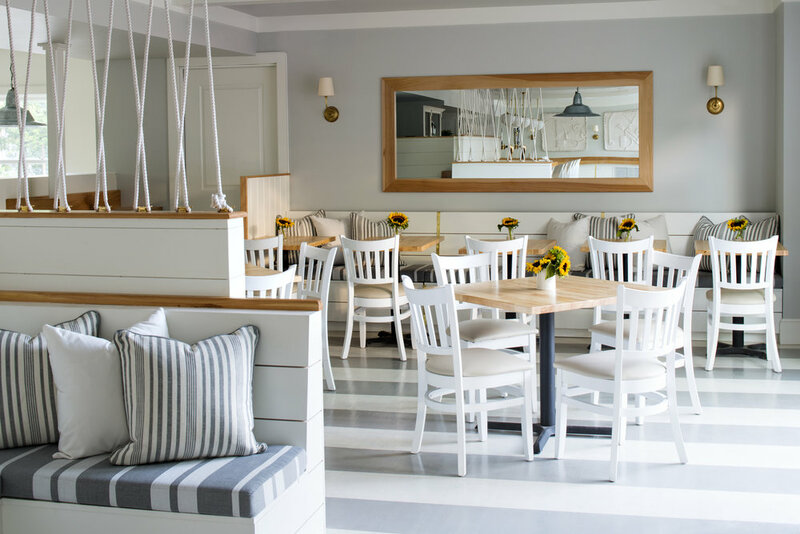 The installation with the nautical ropes of the restaurant, the motifs on the floors and on the saturated tones, the natural materials relate to the tradition and the past of the former marine port. The bar area accommodates, on the walls, artwork custom made sculptors. Many elements of the past combine to a modern decor with some vintage pieces: from traditional wooden benches to contemporary white bar stools, to the lamps found on the flea market. The design is inspired by the owner's passion for boats. "We wanted to create a casual but elegant environment inspired by tradition in contemporary design ," says designer Mazzarini. The restaurant with the spacious outdoor lounge area looks like a floating boat with relax benches, wooden tables and brick fireplace to warm the sea evenings al fresco. Last thought. Absolutely not random choice of name . 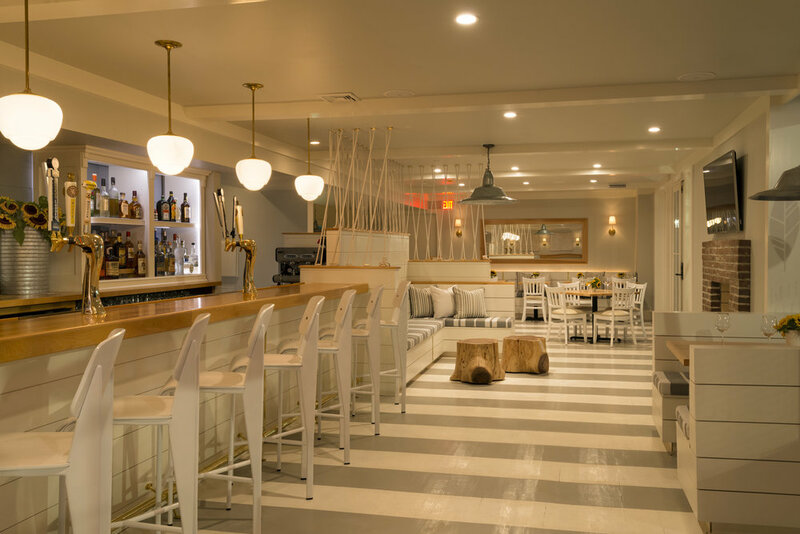 An evocative memory that recalls the secular tree - beech tree - located in the backyard of a 19th century home in the center of Greenport, transformed into a hotel of minimal and contemporary style.